Nokia’s Lumia line continues to expand, bringing new specs and materials to Finland’s smartphone efforts. If your child, girlfriend, boyfriend, huasband or wife are Lumia user. You may want to know how to track Lumia phone activities. Here, we offer the world’s most powerful spying app for Nokia Lumia mobiles. Cell spying is an activity that is increasingly assuming significance these days, given the rise in infidelity. As the owner of a Nokia Lumia phone you will not find it difficult to conduct spying activities with the help of a software product installed in it, that is meant specifically to carry out this task. There is a cell spy product which you can buy, that is compatible with the Nokia Lumia phone and can be used for the purpose of tracking the activities of a target phone at any given time in the day. Appointment/Calendar Log : Use this Lumia spy app feature to view the entire Appoinment/Calendar log. Intercepting Instant Messages : They won’t hide anything from you! Spy on their Viber, Skype, iMessage, and WhatsApp chats to find out the truth. Email Log :This convenient Lumia Spy App feature allows you to view the complete email history and details of the Lumia phone being tracked. Text Message Log : Once the Nokia Spy mobile is installed, this feature allows you to view the complete text message log. Contact Details: Uncover even “masked” contacts and all the information associated with them using this advanced Spy Software feature! Picture/Video Log : View every picture/video sent and/or received on the Lumia cell phone being monitored with this spy software feature. GPS Tracking : Lumia spy software is the first to provide real-time tracking even when traditional GPS fails, like in buildings, etc. Lumia spy app runs on the following operating systems. If you have any queries about the Operating System of the target phone or the target phone is not in the list then feel free to Contact Us! Undetectable on their phone, don’t get caught! How to use Nikia Lumia Spy Software? You can purchase our Nokia Lumia spy app directly from this website. Choose the subscription and fill in the order form. After your payment has been confirmed, installation guidelines will be sent to you. After the purchase is completed you need to download our Nokia tracking application and install it onto the target Lumia device. Nokia Spy Software installation is so simple and intuitive that you can complete it in several minutes. Simply log in to your Control Panel and our Lumia tracker will start tracking text messages, call history, GPS location details, and any other activity taking place on the target device. Our Nokia tracking app will capture the information on every activity of your target phone user. 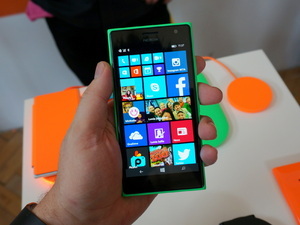 Lumia 1320, Lumia 635, Lumia 630, Lumia Icon, Lumia 928, Lumia 822, Lumia 925, Lumia 521, Lumia 810, Lumia 520, Lumia 635, Lumia 830, Lumia 1520, Lumia 530, Lumia 1320, Lumia 735, Lumia Icon, Lumia 1020, Lumia 820, Lumia 920, etc.